Home Knowledge Base How you can download E-Aadhar Card online. How you can download E-Aadhar Card online. You can download your Aadhar Card if you have Aadhaar number. You can also download it with enrollment number or ID (EID). Or you can even download your Aadhar card with your Name and Date of Birth. 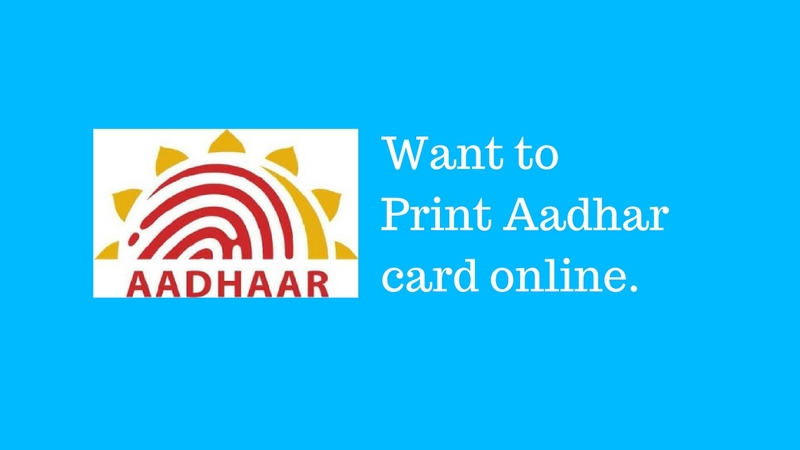 So continue reading this article to know how you can download E-Aadhar card online. Below I have written all the steps necessary to download your Aadhaar card. How to download Aadhar Card by using enrollment number EID? So in the following case, you can download your Aadhar Card online: Either you have forgotten your Aadhaar number or you have not received it yet. Here I am going to tell you all the steps necessary for downloading your Aadhaar card with your enrollment number EID. Simply click on Download Aadhar Link. Enter the details asked for such as name, Pin code of your city, and 1 captcha. Now you will click on Request One Time Password (OTP) so that you can receive an OTP on your registered mobile number. If you had changed your mobile number then there is another option for it, you can comment below and I will reply you within 2 to 3 hour. Once you received your OTP, write the OTP inside the box given. Then click on Validate and Download. Next step is to "confirm". 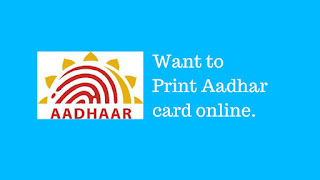 You will get your Aadhar card download it in your computer or smartphone in PDF format. Note: The PDF will be locked, to open this PDF you need to insert the password. Don't know what the password is. Well, it's "Your name and Year of Birth". You need to type 4 letters of your name along with the Year of birth. For instance, in my case, I will type: "JAYA1994"
If your name has only 3 letters then you must have your surname or your middle include One character from it. For example, if your name is "Ria" then right 1 letter from your Middle name or Surname name whichever comes first. Like: "RIAS1994" for Ria Singh. or "RIAK1994" for Ria Kumari Singh. Well all this option you can see on a popup window that will appear on Aadhar Card website. About how to open your Pdf. How to download Aadhar card using your Aadhaar number? This step is quite simple. You have your Aadhaar number in your mobile or you lost your Aadhaar card in this case if you have your Aadhaar number with you. You can download it from e-Aadhar card website online. Here are all these steps to download your Aadhaar card. >Visit to UIIDAI, click on Download Aadhar card. After that insert your details like aadhaar number, your full name, your city pincode and one security code (captch). Generate one time password. The password will be sent to your registered mobile number. Once you got the password, enter it and press the "confirm" button. Also Read: How to make money with mCent Browser app. Click on Validate and Download. The e-Aadhar Card will be Downloaded in your system in a PDF format. To unlock your PDF the procedure is very easy you just need to put 4 letters of your name and your Year of birth together. ( How to find password is given in the previous step of downloading Aadhar with enrolment ID ). How to download Aadhar Card by name and date of birth? Many of us often use to forget things or we sometimes even lost lost our precious documents: like Aadhar card, Pan card or any other such documents. In case you have lost or have forgotten your Aadhaar number and your enrollment ID. You can still download your eAadhar card. Enter your full name, your email ID and your registered mobile number and captcha code. You will received an OTP, enter the OTP and submit. A message will appear on the screen saying, your Aadhaar number has been sent to your registered mobile number along with enrollment ID. Once you received the message you can follow the steps to download aadhar card using Aadhaar number or by using enrollment ID. The procedure is very simple and if you find any difficulty then you can directly ask me questions in the comment below. I will guide you how to download Aadhar card online. Final Note: You can download Aadhar card as many times you can. But remember you can not download it if you have not registered your mobile with UIDAI. E-Aadar can be used as an Original Aadhar card anywhere you want. So download you Aadhar card online and use it wherever you feel necessary, but don't share it with all as it is a very vulnerable document.